Have you ever received a bad review and wondered “WTF”??? Simply put, there are a bunch of crazy people out there that have never put themselves on the line as a leader or manager, let alone a business owner. They are the complainers in the back of the room that have been empowered by social media. Keyword being “empowered”, but exactly how much power do they have. They are angry little trolls. They sit in their sad existence and think the world cares about the injustice they’ve received. When you read their writing it’s hilarious. Start looking through a company’s “negative reviews” and read them… don’t feed the trolls, meaning don’t comment, but dang, you can read them and think, “yeah, I get what the business was doing”. The other thing I don’t understand is the inability to “opt out” from a 3rd party vendor’s review system. In particular, Yelp. Why is everyone forced to participate? Anyway, that’s a topic for someone with more free time than me… haha. I question, “why do people feel so compelled to share their thoughts?” Honestly, I have no idea, I’m certain there are deep psychological studies that answer that question. I’m more concerned with what you do about it. Idea One: Understand that you are in control of your branding but not in control of your brand. Re-read that. You get to decide your branding. You get to pick your logo, colors, website design, letterhead, business cards, and messaging. But you do not get to control how your customers interpret your brand… It’s very similar to how someone can “talk bad” about you and there’s not a lot you can do except rely on your personal reputation. They can say things contrary to the way you package yourself! Ta-da! Same for your business brand. You can get an entire set of trolls that decide to attack your business and say negative things in an attempt to destroy your business. Now, if there is truth to what they are saying… fix it, but otherwise, they get their “little megaphone”. Sure there are the people that say “write back and respond” – go for it… but do not engage. They write once, you reply, they will get to double back and attack again… and that’s it for you. NO MORE. You’re done. You get one big moment to say your peace. That’s it. Here’s the refreshing part. There’s a lot of noise on the internet and the crazy negative one star freaks have lost their voice. Let them rant, they look like toddlers screaming for more candy with both hands full of suckers. Idea two: This is a bad idea. AND This is a scary trip to the dark side… ready??? Take this for what it’s worth, but you have internet skills and until someone attacks back, the trolls won’t go away. Buy the person’s name as a domain. Set up a webpage. Take a screen shot from every platform they chose to attack your business on. Post the screen shot with the written text transcribed on the webpage below the screen shot so search engines find it. Link back to the original post. Tag the page with searchable terms including their name. Link back to their personal profiles on Facebook, Twitter and Linked In. And then see how long it takes for them to notice. Remember employers do search the internet looking at online presence of potential new employees. If you really are irritated, (and this is over the top crazy) but, there’s nothing to stop anyone from purchasing ads on Facebook geographically targeting the 12 mile radius they live in or the company they work with the purpose of steering traffic to your newly created page. Does this scare the crap out of you? It should. Because… the skills you have to place ads and target niche market can all be turned to evil. We currently exist in an internet environment where this hasn’t happened. Remember, my earlier statement that these people are not leaders and have never owned a business. They are the people that sit in the back of a room and complain. Well, when they decide to recklessly use words to hurt a business, what’s to stop someone from putting all their words in one nice and neat location. When someone puts all their “crazy” under one location and allows search engines to find it, is this any different from creating a page about dogs and linking to other pages? (it’s good vs. evil) But at the heart of it, it’s simply using the words of the author and bundling them in one easy to find location. How’s that for a spooky idea? And by the way… I strongly encourage you to go and buy your own name as a domain, and do it right now. I have never understood why people don’t buy their own name… if this doesn’t give you a reason you need to re-read Idea 2. So before you go all deep-end and implement idea 2 (which is a bad idea) – know that you do not control your brand, i.e., the way your branding is interpreted by other people. You control the colors, logo, etc. 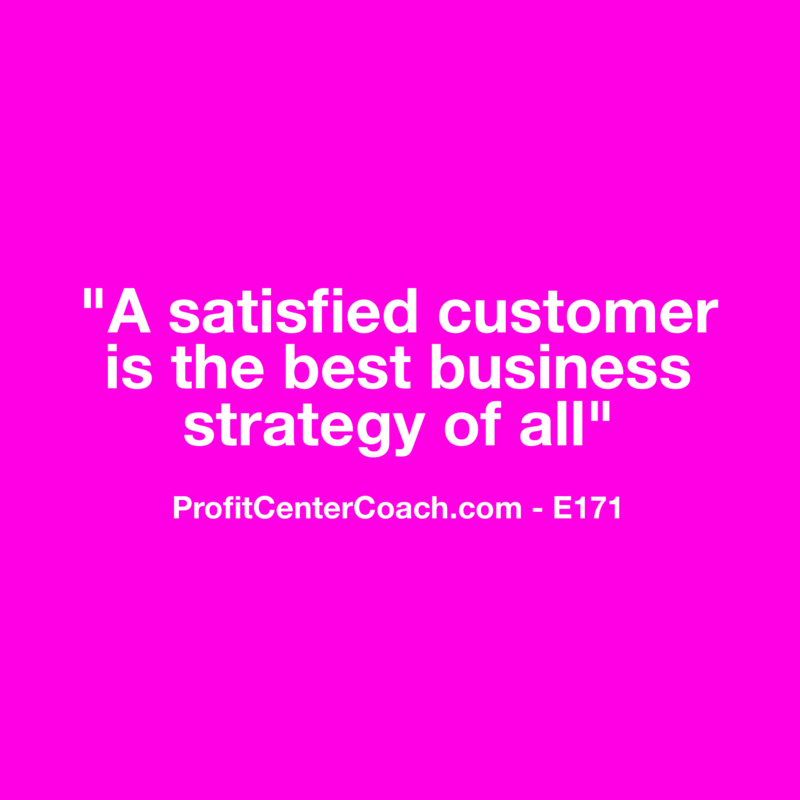 Ultimately, satisfying customers, within your policies and procedures, is the best way to succeed. You’ll get the negative guru’s that will never be happy, and that’s OK. Let them be. Focus your time, money, and energy on new customers and moving forward to make money! Remember, it’s not proper online social etiquette to attack a business for following their procedures. If you tell people ahead of time the “rules” and then after the transaction they have an issue, that’s disgusting human behavior. It’s like going to a restaurant eating an entire meal then complaining it was awful. These people have sad pathetic lives, and the reason they do is because they are not honest people. As a business, you need to focus on the good people and do everything in your power to attract more good people in line with your values and beliefs to do business with. When you create the customers you want to work with, more will follow and the tolls will no longer exist in your working world. That’s the best advice of all! Have you ever changed a policy based on a negative review? 1- Focus on attracting customer you want to work with — good customers that align with your company values and beliefs.